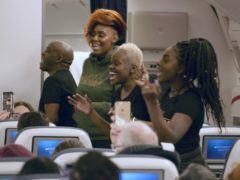 The choir who thrilled guests at the wedding of the Duke and Duchess of Sussex earlier this year have surprised passengers with a performance aboard a British Airways flight. 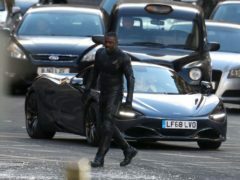 Idris Elba has taken to the streets of Glasgow to film scenes for his latest movie. 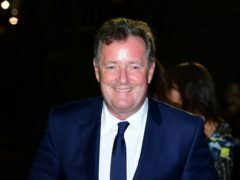 Piers Morgan has graciously taken insults in his stride as Channel 4 hurled abuse at him in aid of Stand Up To Cancer. 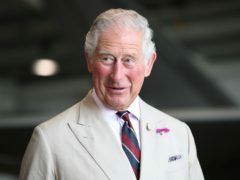 Steph McGovern has said that Donald Trump was “creepy” and told her she was “so beautiful” when she interviewed him several years ago. 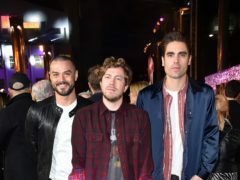 Busted have announced details of their new album and a UK arena tour for next year. 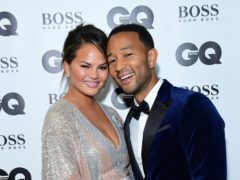 Chrissy Teigen has shared a new photo of newborn baby Miles in which he is the spitting image of his father John Legend. Emma Thompson will star in a new BBC One drama penned by Russell T Davies. Julia Roberts has reunited with her My Best Friend’s Wedding co-star Dermot Mulroney for new TV show.